When your child, you, or a loved one has a sudden illness or injury, it can be quite worrisome; however, the emergency room is not a place that most of us want to visit. The long wait times and hefty price tag that go with it are easy to avoid because there is another option. Urgent care clinics are an excellent alternative to the ER unless of course, there is a life-threatening situation, the Emergency room should be your first priority. Urgent Care facilities such as Bonita Community Health Center’s (BCHC) Urgent Care can treat most non-life threatening injuries or illnesses. So what is the difference between Urgent and Emergency? Emergencies should be considered those illnesses or injuries that pose a threat to the life or limb of the patient. Examples would be heart attacks, struggling to breathe, concussions or profuse bleeding that is uncontrollable. For these situations, you would want to call 9-1-1 or get to the nearest emergency room right away. Urgent, on the other hand, would be those illnesses or injuries that need to be treated right away, but are not life threatening. This would include sore throats, skin infections, colds and flu, sprains, ear infections, animal bites, dehydration, broken bones and much more. So when that sudden illness or injury happens, consider which type of care is right for you. • My primary care doctor was unable to see me right away or they simply were not open. • I have no idea how long the wait would be at the emergency room as I know they take patients by severity of illness. • The number of bills I get every time I go to the ER. So if you have made the decision that Urgent Care is right for you, why should you choose Bonita Community Health Centers Urgent Care over other Urgent Care’s and walk-in clinics? 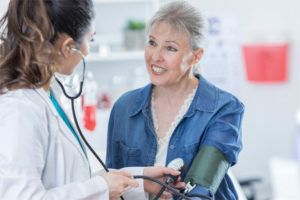 By weighing the benefits and unique features that a comprehensive Urgent Care center like BCHC has to offer, we think that the choice is easy. SmartLine Online Check-in is another unique feature that BCHC offers to allow you to “Wait Your Way”. SmartLine is the new and easy way to get in line at BCHC Urgent Care from the comfort of your home, office or even on the run. Once you’re in line, BCHC will send text updates to your cell phone, keeping you informed on when your turn is coming up and when to head to the Urgent Care Clinic. SmartLine gives you the freedom to continue with your day until a medical provider is available to see you. BCHC has been using the SmartLine for three years now and their waiting room during season has gone from standing room only, to having 4 to 7 patients standing by for a physician. 3. Enter your name and cell phone number. Bonita Community Health Center offers urgent care, imaging services, physical therapy and surgical treatment options.